Figure 20. 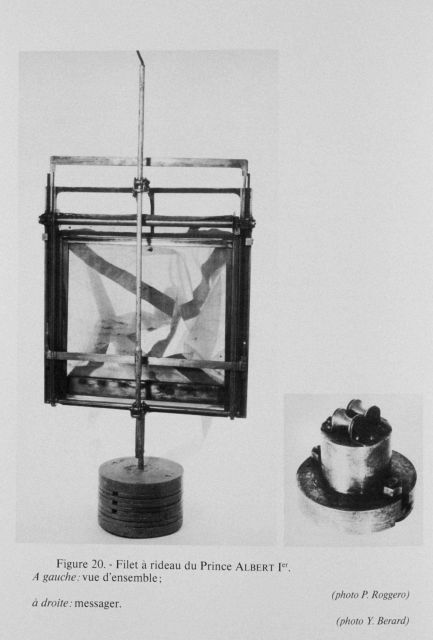 Horizontal shutter plankton net first invented by Prince Albert I of Monaco in 1889. Left: view of the assembled unit. Right: the messenger to trigger operation of the unit. This net would be lowered to a specified depth and then a messenger sent down the line to open it and capture drifting fauna at depth. This was first tested by Prince Albert I off Madeira in 1889.